The Pro-Lam PL-244WF 44" Wide Format Roll Laminator is a feature rich high performance roll laminator ideal laminating large and wide format output. Made-in-the-USA the PL244WF roll laminator is a durably built commercial laminator with a 44 inch wide laminating width capacity utilizing laminating films from less than 1 mil to 10 mil in thickness. The Pro-Lam PL-244WF 44" Wide Format Roll Laminator is a high performance commercial roll laminator that is made in the USA! Designed specifically for mounting and laminating wide format output the PL244WF roll laminator laminates polyester, nylon, vinyl, polypropylene and plastic films. REVOLUTION SERIES HEATED ROLLERS: Our patented heated rollers are the heart of the laminating process and your key to flawless, scratch free and consistent lamination. With a less than 5 min. warm up time, your energy savings will be substantial while allowing you to serve your customers more promptly---turn it on, run your job and shut it down. This proven technology results in the same superb performance and quality of finish, from our commercial 12" desktop laminator right up to our industrial 60" wide-format machines. VERSATILITY: Laminate hot or cold, one or two side, 1 to 10 mil. Laminate and/or mount on foam-board or similar substrates. Expect plenty of heat to be available when mounting on heat-activated board. Accessories include 3" mandrels, liner take-up kit, and stands. USER-FRIENDLY: Every machine we make is designed to be as easy and straightforward to operate and maintain as possible. We avoid the use of superfluous 'bells and whistles' as they just add to the cost of a machine while offering precious little in the form of functionality and more often than not are the cause of expensive repairs down the road. If you pay attention to a few simple rules and maintenance procedures you will have a lot of happy customers, a fatter bank account and a fine machine ready and capable of giving flawless, trouble free service for years to come. The Pro-Lam PL-244WF is a feature-rich wide format roll laminator offered at an affordable price! Ships by Truck! Truck shipments are door to door - lift gate and/or inside delivery require additional fees. Please call if you have any questions. 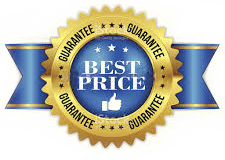 With our Low Price Guaranty nobody saves you more money on quality laminating and binding products than Laminator.com. Shop Online or Call Today! 55" x 20" x 16"
Laminator.com has been the number one online source for laminating machines and supplies for over 10 years. Mon-Fri from 8:00am to 4:30pm CST. a message and your call will be returned.